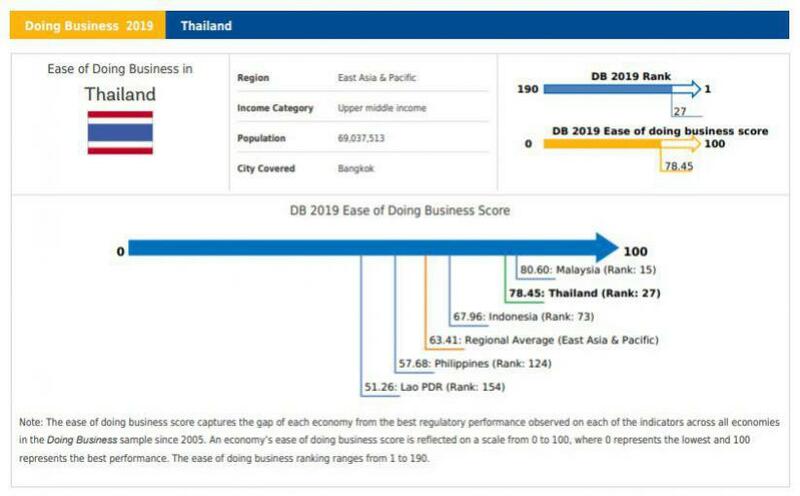 On November 1, 2018, Mr. Kirapat Jiamset, Governor of the Metropolitan Electricity Authority (MEA), revealed that MEA was one of the selected organizations in Thailand to participate in the World Bank’s Ease of Doing Business assessment among 190 countries worldwide. 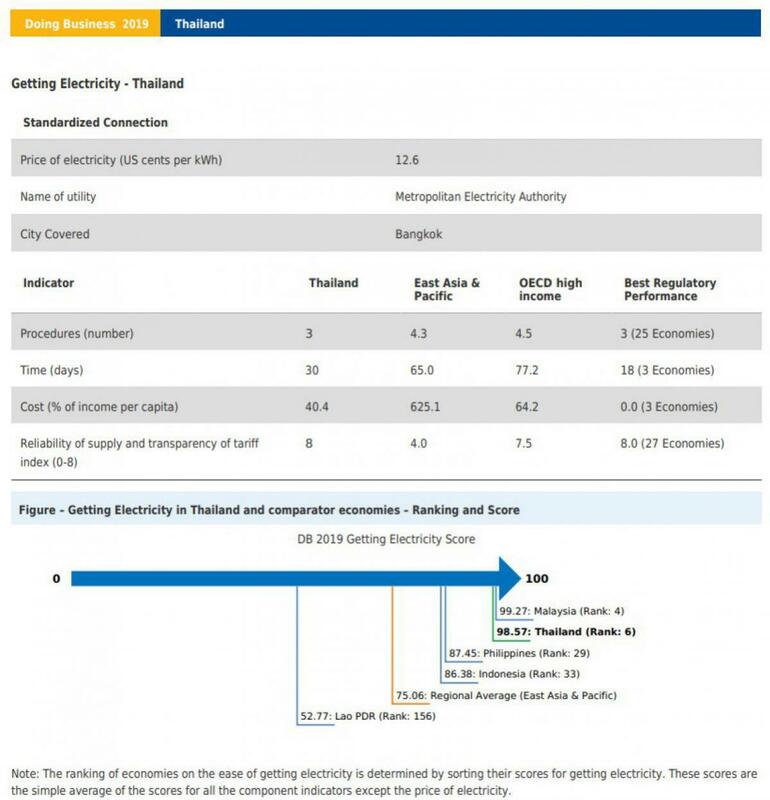 The results of the 2019 ranking showed the ease of getting electricity in Thailand has improved significantly, jumping 7 places from 13th last year to 6th. Overall, Thailand was ranked as the World’s no. 27 and ASEAN’s no. 2 to conduct business. MEA exclusively focused on innovation and smart energy for metropolitan lifestyle while continually improving its service quality to provide more convenience and less time for customers especially in electricity connection, boosting Thailand a better position in the World Bank's rankings. 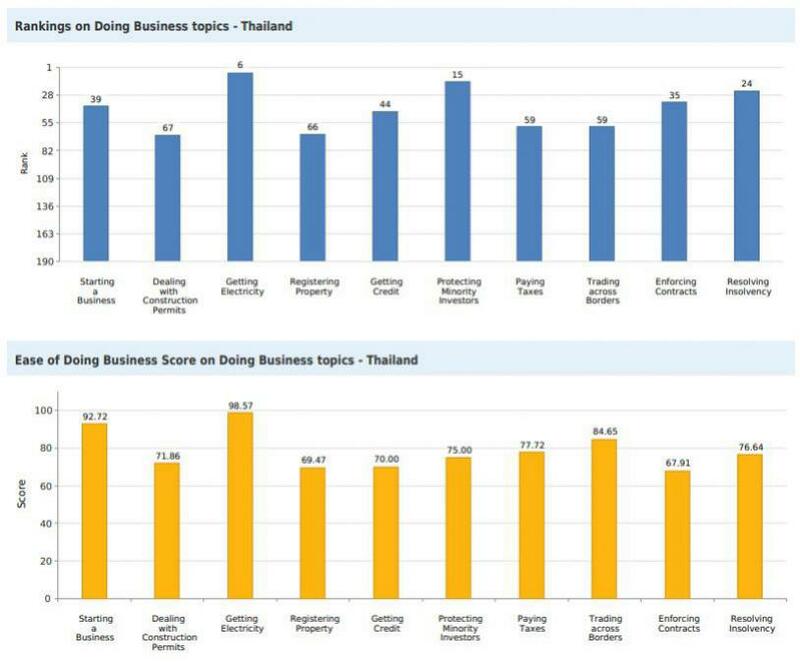 Moreover, the Doing Business website indicated that, based on its 11 indices for 2019, Thailand ranked 27th out of 190 countries for the Ease of Doing Business and ranked 2nd in ASEAN, behind Malaysia (15th). Thailand scored 78.45 points, moving up from 77.44 points last year. 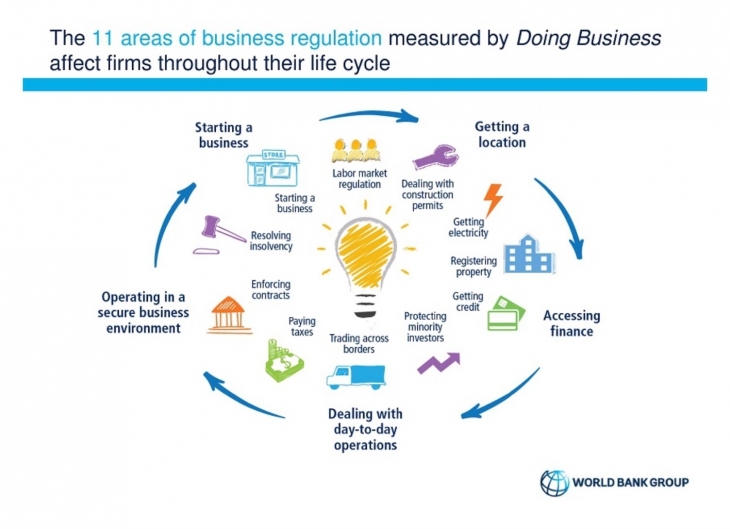 A press conference on the 11-index doing business ranking 2019 was held by the World Bank in Malaysia through the video conference with the World Bank in four countries in collaboration with the nation’s news agency to broadcast on television. Details of MEA’s Doing Business Services can be found at the MEA website or click on www.mea.or.th/minisite/doingbusinessinbkk/. For more information, please dial MEA Call Center 1130, anytime around the clock.